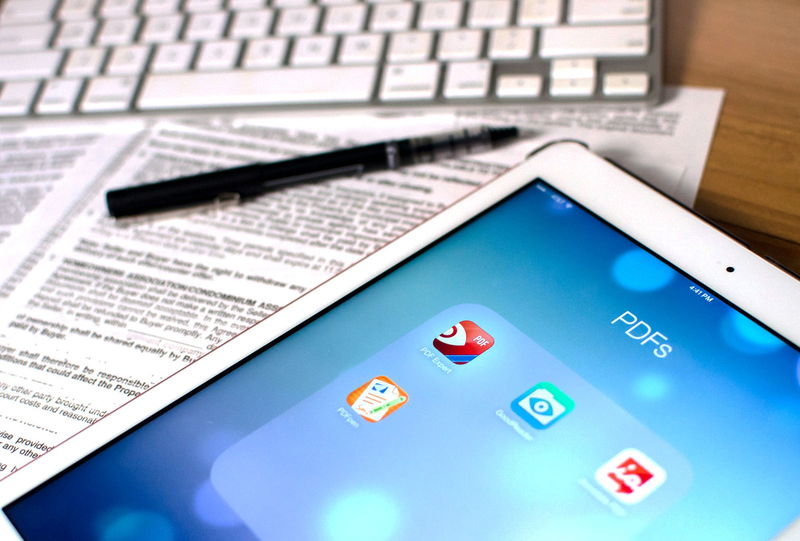 What is your app of choice when it comes down to handling PDF files? What is your opinion on the easiest way to convert PDF files on iOS devices? We believe that using a fast and reliable app is always the way to go, and if it’s free, well then even better! Today we will discuss the PDF to Word, a very solid and steady app for converting your files to .docx and several other formats! This app has several standout features that could all easily be called the best feature with some solid arguments behind that claim. However, the newest change that was made in a huge update that came just a few weeks ago is the implementation of yet another integrated cloud service - iCloud. 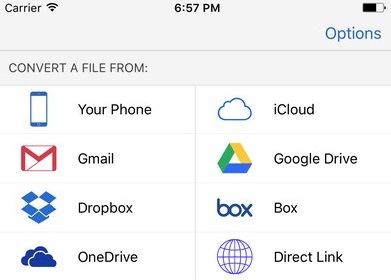 This means that you can now import files from your iCloud and 5 other cloud services: Dropbox, Google Drive, Gmail, Box and OneDrive, as well as manually from the devices hard drive. This change came as a result of persistent requests from the users for a feature that allows you to import files from iCloud. Another thing that has been announced is the implementation of Landscape mode, which allows the user of the app to turn the screen sideways in case they are using a keyboard, or perhaps other reasons. Another important feature to note is that with the newest version of this app you will now be able to change the name of the newly converted file within the app. This will make it significantly easier for users to round up the emailing cycle without having to leave the app - meaning that you can open your file from Gmail, convert it to Word, and send it out, all the while never leaving the app. PDF to Word makes it extremely easy to convert files due to the fact that its interface is very easy to work with. The app is designed so that it is suitable for our youngest generations such as high schoolers and college students as well as for their teachers! 1. Log in to your desired cloud service by clicking on it and typing in your username/email address and password. 2. Select the file you want to convert from the list that appears after logging into the cloud service. New files will appear on top of the list, while the oldest ones will be on the bottom. 3. After selecting the file the app will send it to its online server in order to perform the conversion. 4. Once the conversion is done your new file will automatically be downloaded and saved. 5. Share, email and further edit or manipulate your newly converted Word file in the app of your choice! This app is more than capable of converting all types of PDFs, including complex, scanned and native files in just a couple of seconds, due to the fact that its powerful OCR (Optical Character Recognition) engine is more than enough for these types of conversions. Make sure that during the process of conversion you have an internet connection at all times. This is important to notice as the app will not finish converting files if you lose internet connection since all conversions are done on online servers. Have you had the chance to try out PDF to Word and convert some files on your own? Have you had experience using any other iOS apps for PDF conversion? How do they fare against each other, and which one did you find more appealing? Let us know in the comment section below or by commenting on the AppStore or Google Play Store!